This is one of my favourite posts. 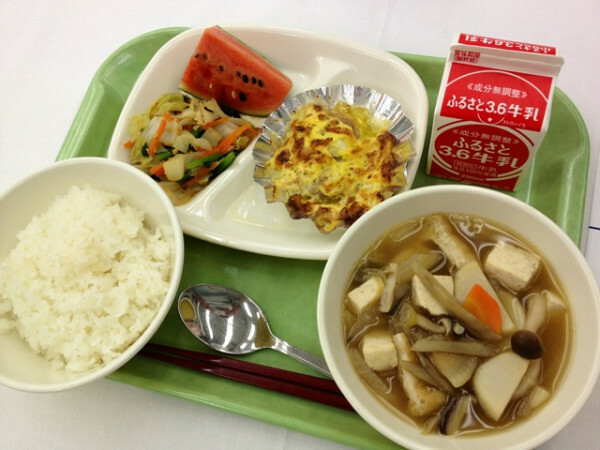 I love all the different meals and how people dress and prepare them. I even guessed the winner! Hello everyone. Doni is here. Thank you very much for deeply-appreciated message. Arigato gozaimasu. And I'm sorry for my terrible at English. I was a student with poor English. As you might know, my best subject was the lunch time at school. 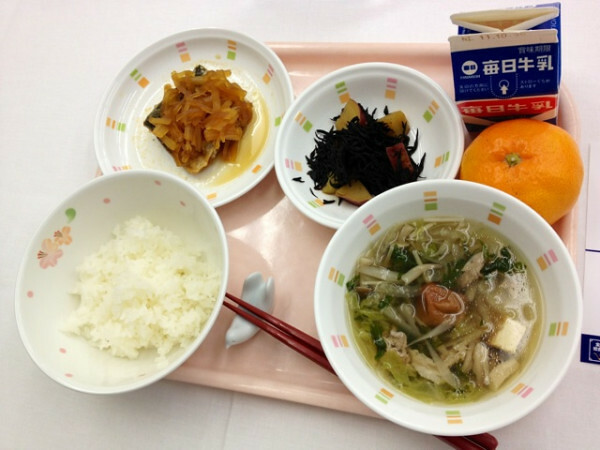 Rice, Simmered Chicken and Konjak with Miso. 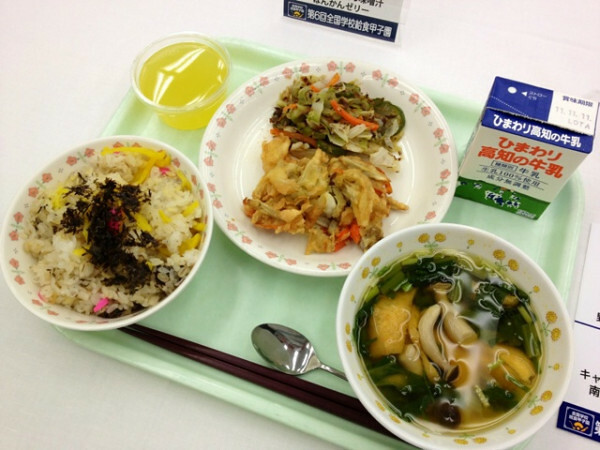 Deep Fied Chicken, Boiled Japanese Mustard Spinach, and Milk. The above Mustard Spinach is grown at local. 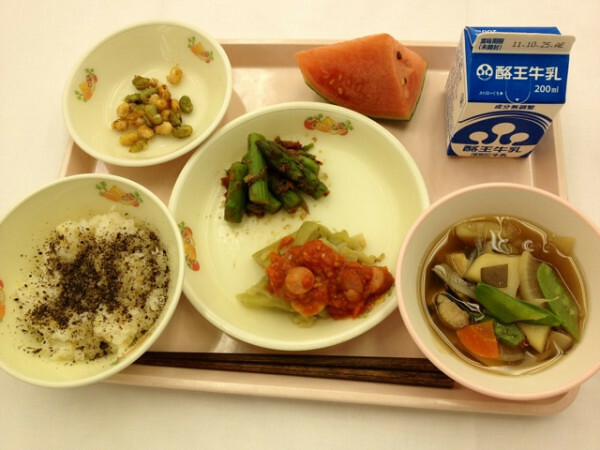 Today another school dietician who is my friend sent me a picture for Martha’s Project. 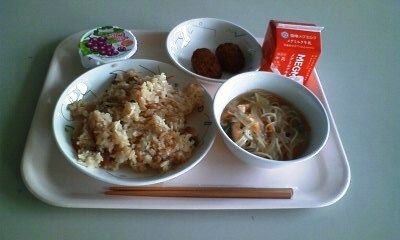 Cooked Rice Chinese Style, Vermicellifine Noodle Soup (Soup of somen noodles and various ingredients in a soy sauce broth), Meat Ball with White Sesame, Grape Jelly, and Milk. 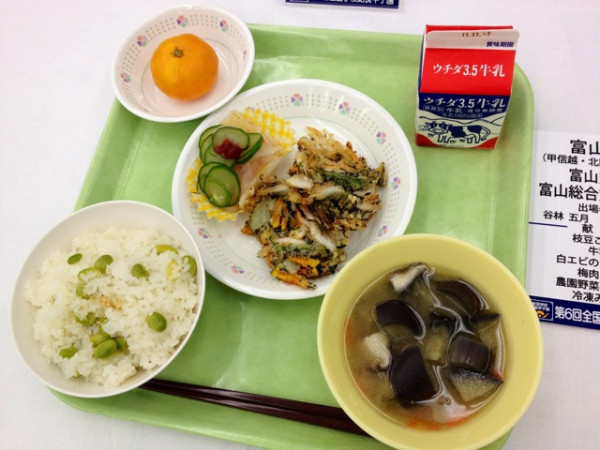 Our school served a lunch for 188 days a school year. 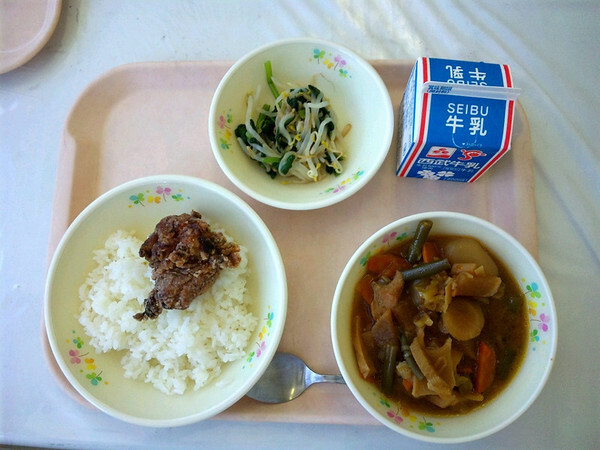 It is hard work to menu which is concerned balance of nutrition, calories, like and dislike of children and more. 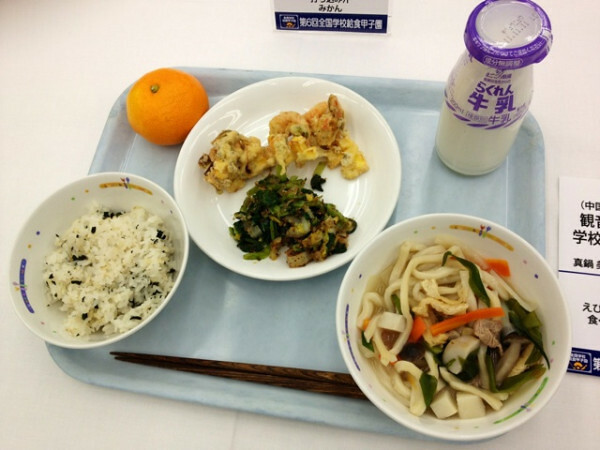 School dietician should to raise a child to become a healthy eater. It is big challenge for them. Dieticians are thinking about what children liked, what they didn't like, what kindthey liked and what they didn't mind but would rather not eat. Yes, Dieticians are checking kitchen waste every day, and they peep in to see what children are doing at lunch time. And so dieticians develop a game plan. 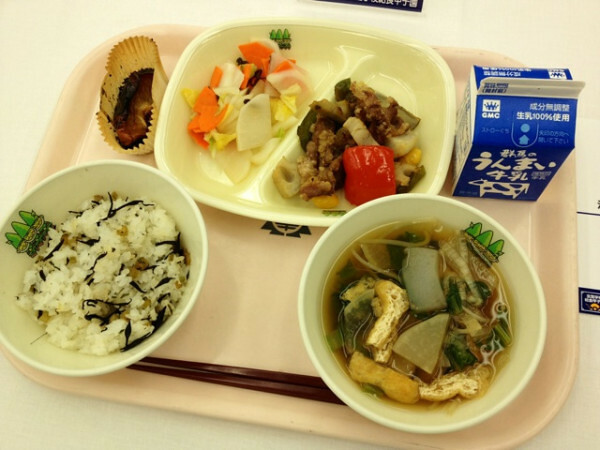 OK. Today, I introduce school lunch contest in Japan. 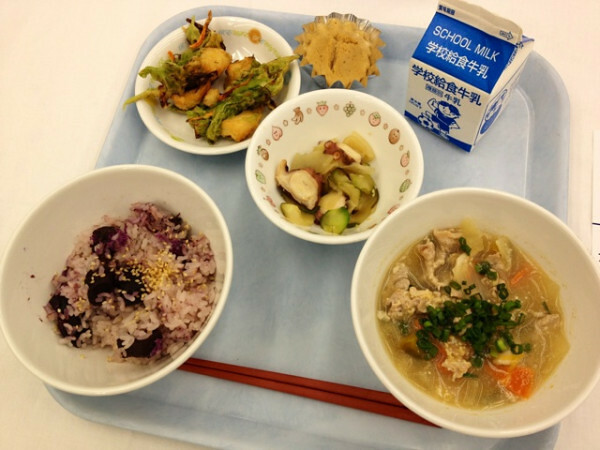 It is called Kyushoku Koshien. 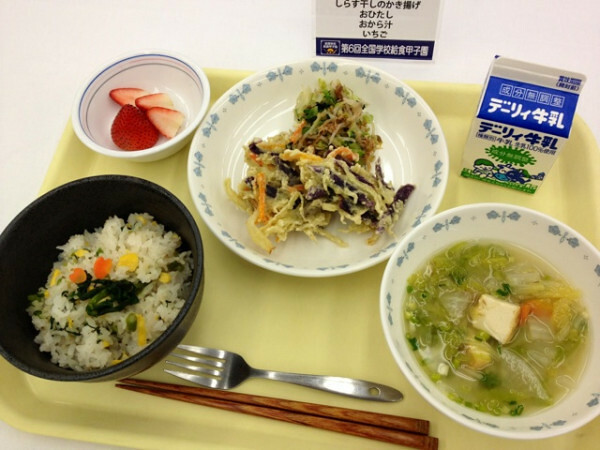 This tournament is designed to encourage local production for local consumption and that through the tournament to compete on behalf of the regional dishes are offered in school meals across the country to educate about healthy eating. 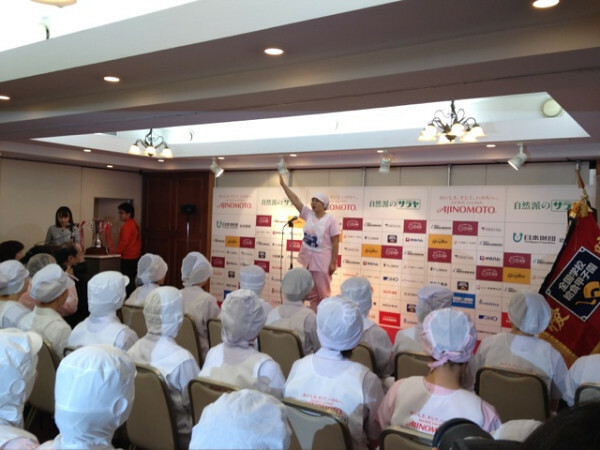 This year the seventh contest will be held at Tokyo in December. I usually cosponsor this contest to sneak into the contest room. 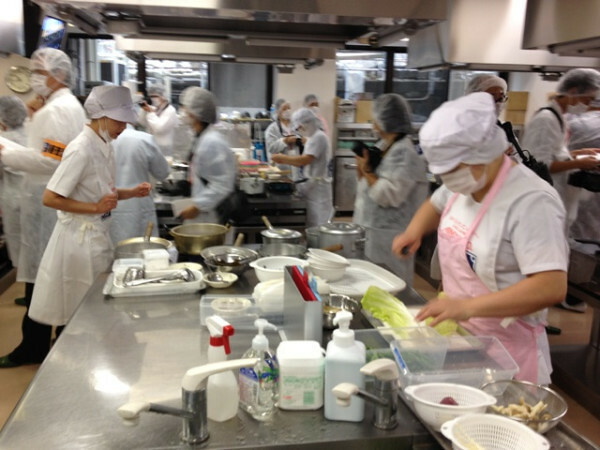 Contestants are 12 school (included central kitchen) representative of 6 region of across Japan. 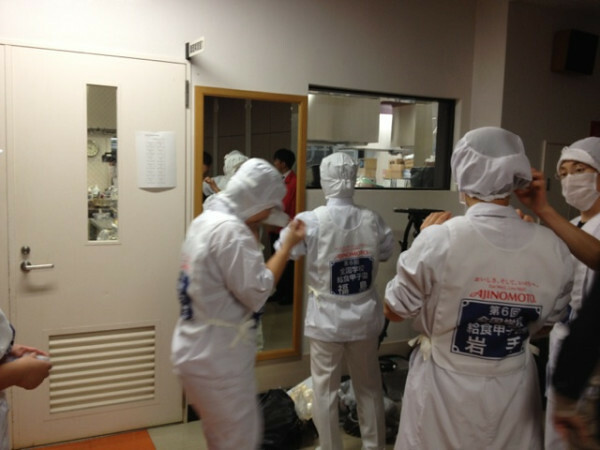 Players are School dietician and cooks in pairs. 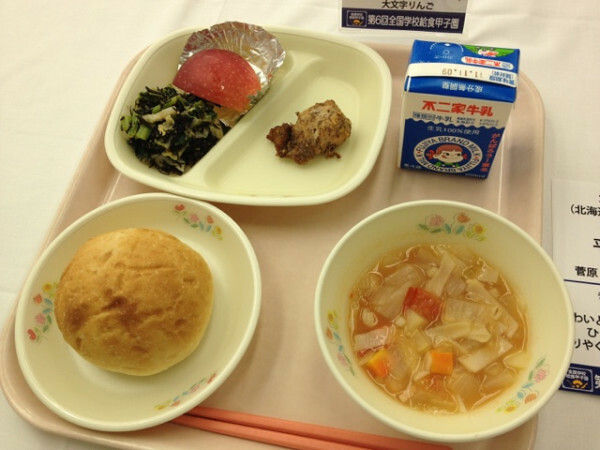 -Menu what you have previously provided as school meals before the date of the finals. 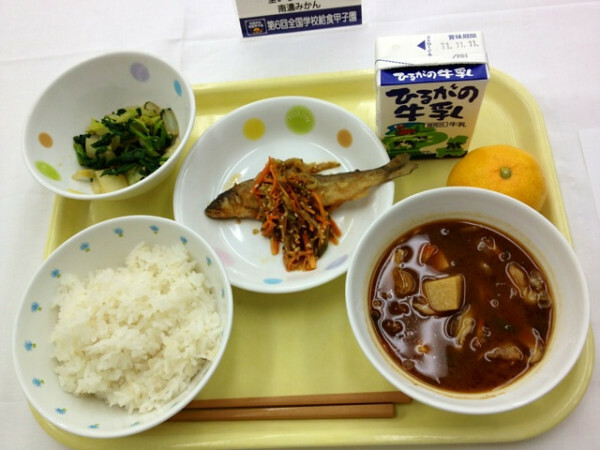 -That according to the Ministry of Education Reference Intakes for school meals. -Local products to be a menu that uses local products, taking advantage of the features that. -The application form attached a picture of the menu. I think it is so hard to cook 6 meals within 60 minutes. But they do that. 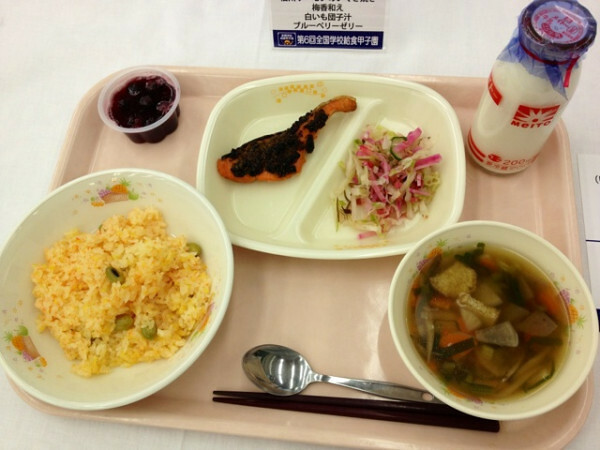 OK, I show you all lunch menu of final contestants in 2011. I bet you will be surprised with them. Ah. These menus are special for contest. Please don't believe menu like the above is served every day. They all look great but I think.... Kochi!